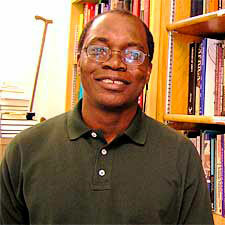 Ettien Koffi is a linguistics professor at St. Cloud State University whose English language workbooks are available for purchase through Digital Printing Plus, Inc. Once printed, these workbooks may be picked up and paid for our store, or we will email an invoice to you and, upon payment, your product will be shipped to you. Because these are print-on-demand purchases, returns or exchanges are not allowed. Professor Koffi’s books are copyrighted, and therefore, may not be recopied and, because they are workbooks, may not be resold.